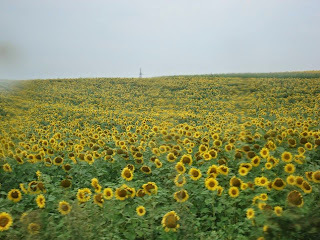 Fields of sunflowers everywhere you look in July. 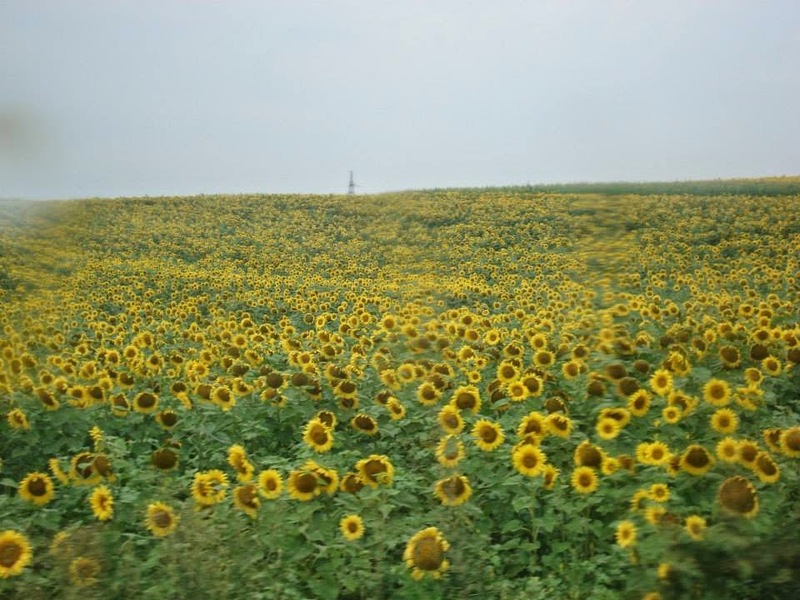 Moldovans love their sunflowers. I'm not sure if they consider it the country's national flower but if they don't they should. They grow so many of them and then use them for everything. The sunflower seeds are consumed all year practically everywhere you go and what seeds they don't eat they use to make sunflower oil, which is really the only oil they use to cook with. It's more common to buy them in the store throughout the year since they costs nothing at all but if they are in season you can eat them straight from the flower. And my favorite thing they make with sunflowers is Kazenaki which is sunflower seeds covered in honey.